for $225,000 with 2 bedrooms and 2 full baths. This 1,448 square foot home was built in 1946 on a lot size of 0.23 Acre(s). 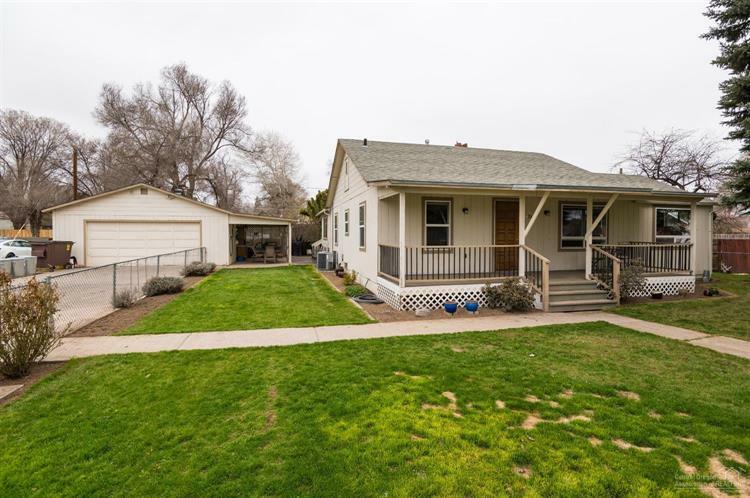 Nicely renovated single level home with RV parking, central gas heat/AC & a shop/garage in Downtown Madras. The home has an expansive living room that comfortably fits a full-size living room set and a pool table. The flooring is solid surface throughout with pre-finished hardwoods in the living spaces, kitchen, and bedrooms and tile flooring in the main bath. The main bath has been completely remodeled with new tile flooring, tub, brushed nickel hardware and light fixtures, and a tasteful tile shower surround. The kitchen is spacious and has a large pantry. The back of the home has an additional bonus room that can also be used as a den. 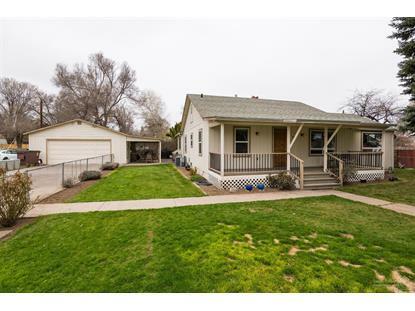 The yard is fully fenced and irrigated w/ 3 covered outdoor living spaces and a cross fenced garden area w/ very fertile soil. The garage/shop has an enclosed cold storage area and a workbench in the back. This home is located right across the street from the tennis courts and expansive grass fields that are open to public use.